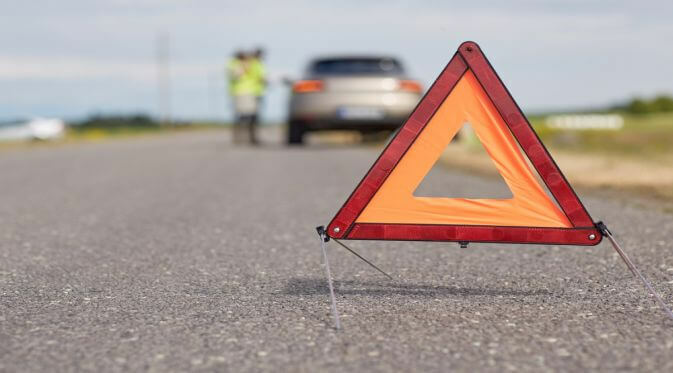 How to Prepare for a Roadside Emergency? 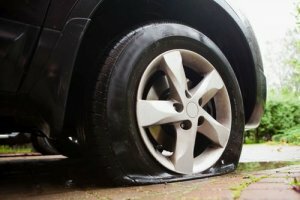 Flat tires, blowouts, dead batteries, and other issues can leave you stranded on the side of the road and will ruin your day. Don’t worry about the possibilities – plan for them. Before unexpected emergencies arise, prepare your vehicle and yourself to remain calm and address the situation. Use the tips below to prepare for unplanned events. 1. Add emergency contacts to your phone. Keep AAA or other local emergency service providers’ numbers in your cell phone for easy access during an emergency. Use a mobile phone charger to keep your mobile device ready to reach out for help at a moment’s notice. 2. Keep up with routine maintenance. Always keep the operator’s manual in your vehicle, and follow manufacturer recommendations for oil changes, tire rotations, brake pad replacements, and other maintenance tasks. Keeping a well-maintained car minimizes the risks of common emergencies. 3. 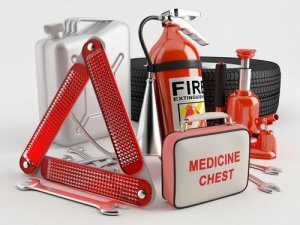 Create a permanent vehicle emergency kit filled with first aid items, road flares, jumper cables, blankets, packaged food/water, a mini tool kit, flashlight, fire extinguisher, and hand sanitizer or cleansing wipes. Look through and update the supplies in your kit once a year. 4. Plan for the most common problems. Consider investing in a standalone jump-starter, keeping a spare (empty) gas can in your trunk, and learning how to change your vehicle’s tires. Try taking off and replacing a tire at home to familiarize yourself with the strength of the lug nuts on the wheel. You may need to invest in a different type of tire iron or lug nut loosening tool to easily replace a tire in a pinch. Prepare to wait after you call for assistance. Depending on the emergency, location, and time of day, emergency crews may take some time to reach you. Keep a stash of books, magazines, or puzzles to avoid running down your phone battery while you wait. With a little preparation and some patience, you can handle any roadside emergency that comes your way. Author otobotsPosted on March 16, 2017 May 30, 2017 Categories Latest-blog, ServicesTags emergency essentials, roadside emergencyLeave a comment on How to Prepare for a Roadside Emergency?